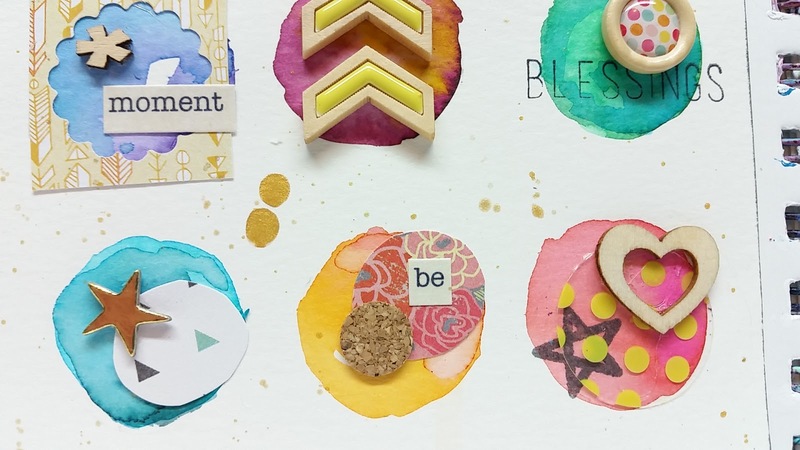 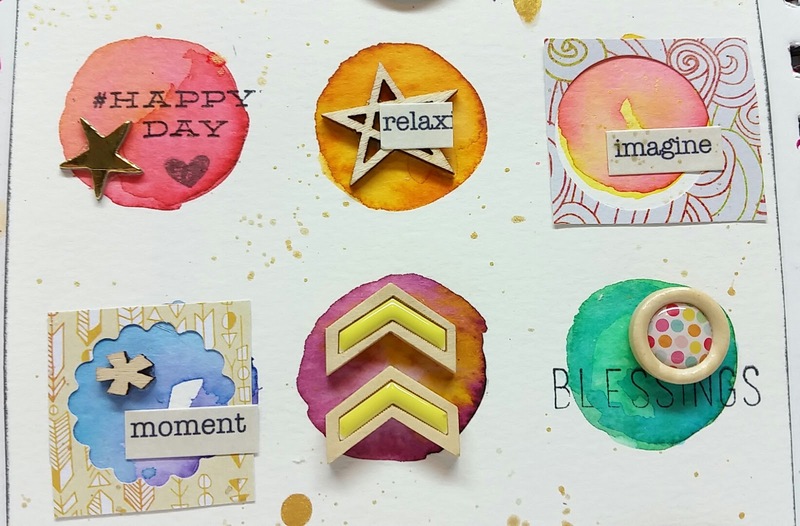 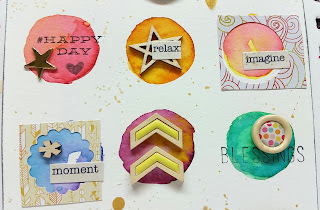 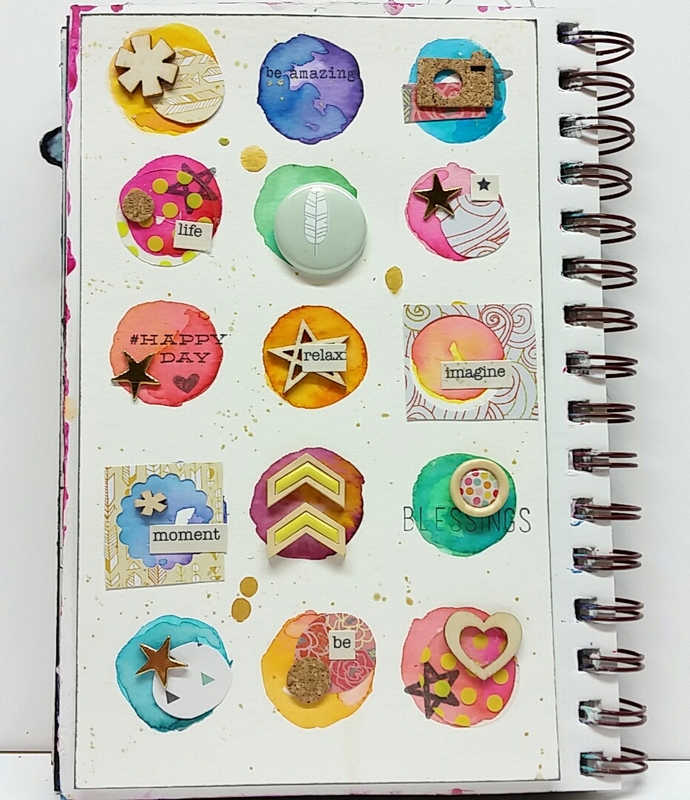 I called this page 'Tiny Delights' because in each tiny circle there are little embellishments that make me happy. 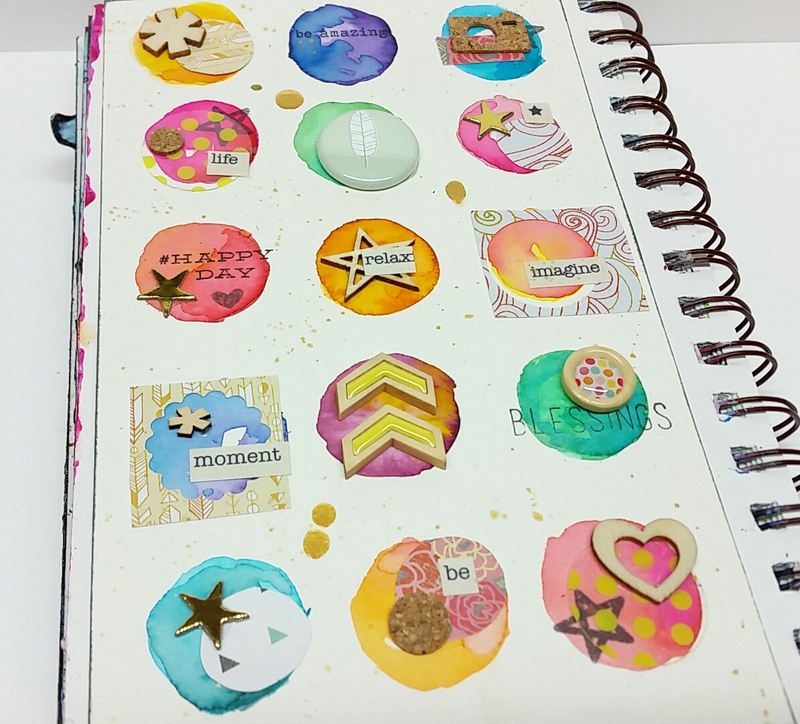 Each circle has embellishments that I love and have been hoarding for awhile, and it feels good to get them out an all on one page. 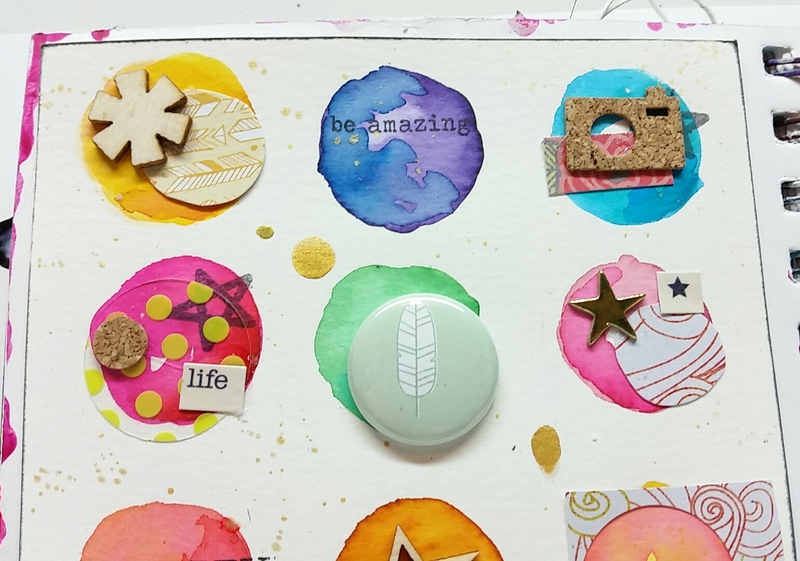 I prefer using my embellishments in this way because there are a ton to look at all in one place. 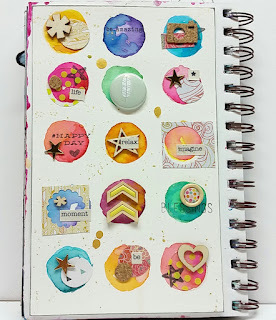 Although this is not my usual style, I had fun playing with watercolor and building the little circles of embellishments. 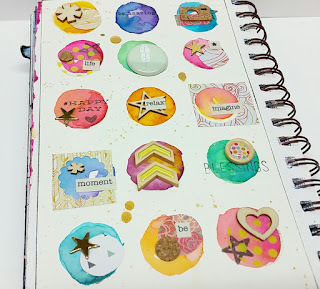 This is a fabulous design, love each circle!